Take a look at our Services page for more! 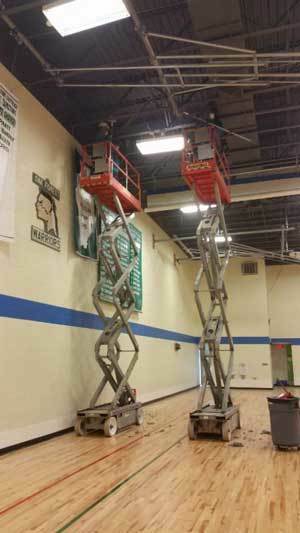 ​​Service Master Cleaning Solutions is the trusted one stop shop for all your commercial cleaning requirements. 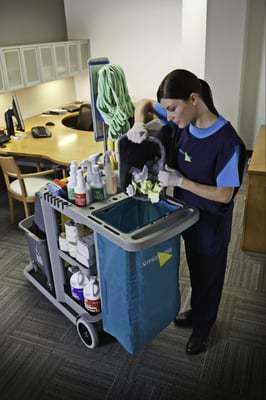 With over 20 years of tried, tested, and proven excellence and unmatched reliability in delivering top quality cleaning solutions for commercial clients throughout Chicago's suburbs, we have established a solid reputation as the top choice for clients who wouldn't settle for anything less than the best. Here at Service Master Cleaning Solutions, we are truly passionate about the work we do and are fully committed to delivering total customer satisfaction no matter how big, small, simple, or complicated your commercial cleaning needs may be. From post-construction clean-ups to disaster recovery, warehouse ceiling cleaning, hard floor cleaning, to regular janitorial services, you can count on us to take excellent care of all your cleaning requirements. For us here, nothing provides us with a better sense of fulfillment than knowing that the client is thoroughly pleased with the cleaning solutions we rendered. We believe that the best and only business model to follow is one that puts our customers' needs ahead of our own business interests. So if you're in Chicago IL, Northern Indiana, or other surrounding areas and are on the lookout for exceptional janitorial, construction clean up, warehouse sanitation, and other related services you can trust, there's only one name to remember - Service Master Cleaning Solutions! When it comes to running your business, the vendors you hire reflect on you. If you're tired of replacing your janitorial service company due to their complacency or lack of follow-through, it's time to go with the team that believes that a job isn' t done until it's done right. At ServiceMaster Clean®, we provide the expertise, professionalism and ownership to deliver exceptional results you can depend on day and night. For 60+ years, we've been dedicated to providing only the highest standards of cleaning services for customers. We get excited about dirt and grime, but what we are truly excited about is SERVING others!" If you want to find out just how passionate we are about cleaning, give me a call and let's talk trash!